Business Buddies are local businesses Kupcakes a Go-Go has worked with and wants to recommend to you! They span all different industries and can handle a variety of your needs! Check them out and if you want to be one of our Business Buddies, click the button below, contact us, and tell us about yourself! This is not a paid advertisement. BizLounge offers private offices and common work spaces by the month or the day. In addition, we offer meeting rooms perfect for workshops, team building meetings or staff meetings. For parents, we also have a playroom on-site where our CPR-certified sitters can watch your children while you work. A local business ready to help you with all of your tuxedo needs. Whether it's for a wedding, prom, or any other special occasion, Gent's has you covered. One of Florida's premier beach wedding companies! We have over 11 years of experience making wedding dreams come true. It's our goal to make your destination wedding stress free, beautiful and unique. So, whether you're looking for something simple, or one with all the bells and whistles, you've come to the right place! 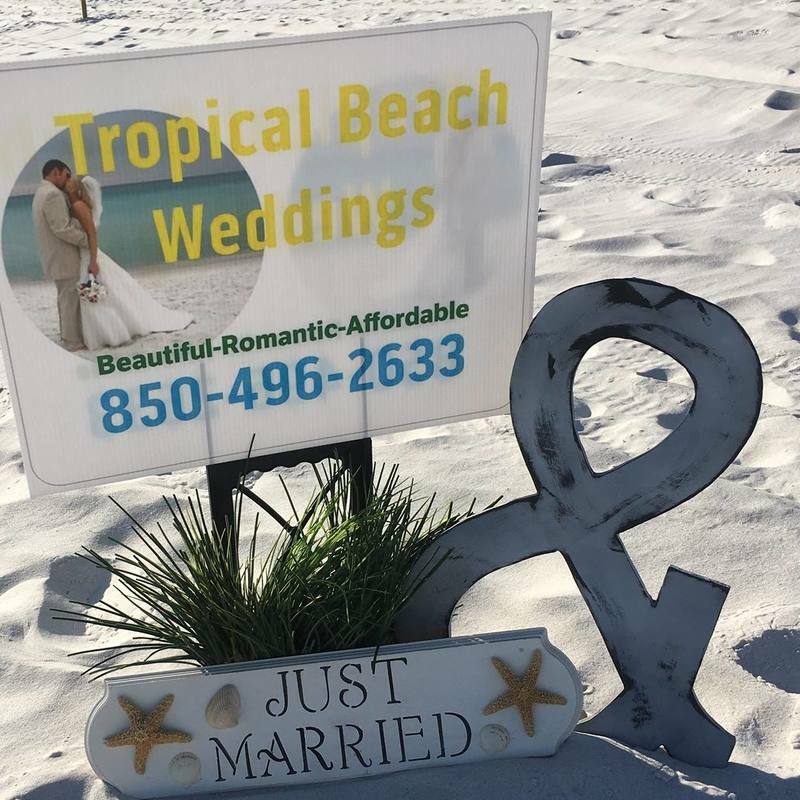 We provide comprehensive beach wedding service for the Gulf Coast including Navarre Beach, Pensacola Beach, Fort Walton Beach and Destin Beach. If you have any questions, please call Belinda at (850) 496-2633.